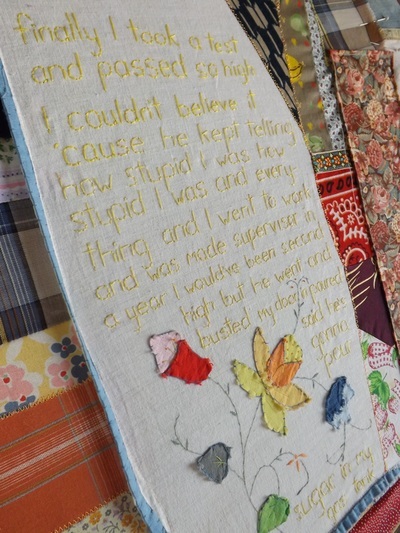 Almonds are members of the peach family explores what happens inside a family, a culture, a body when violence goes untreated, embedding itself in body and collective memory. Almonds are members of the peach family exists as a book-length manuscript, fiber arts installation, videos and performative readings. 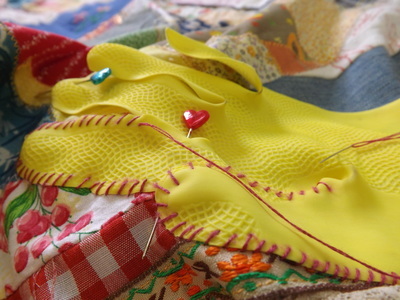 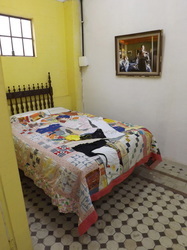 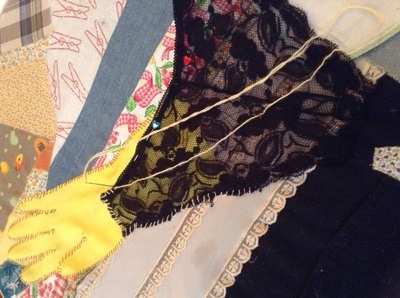 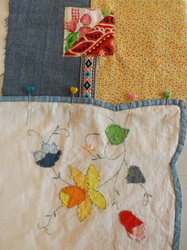 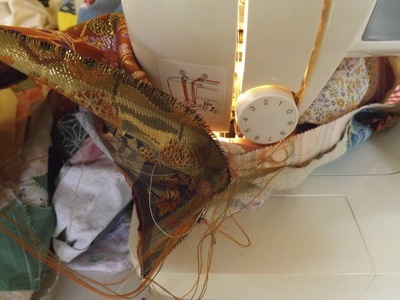 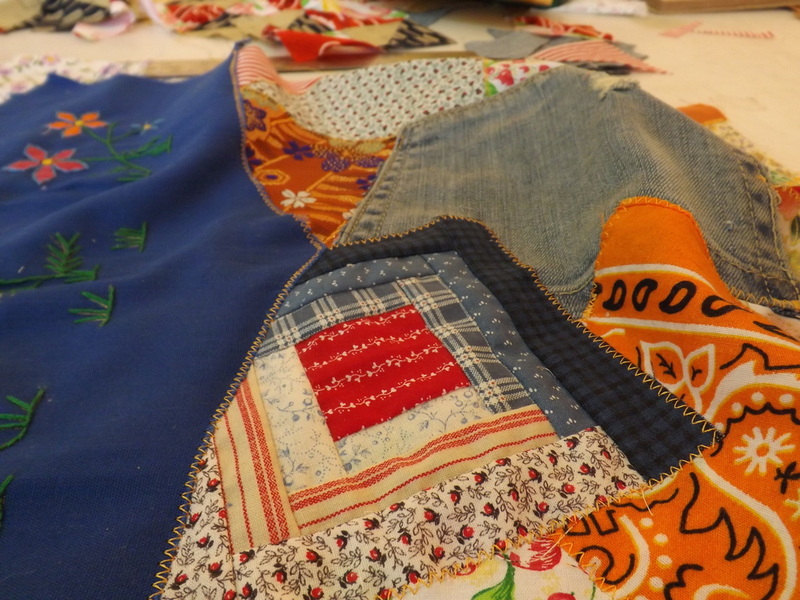 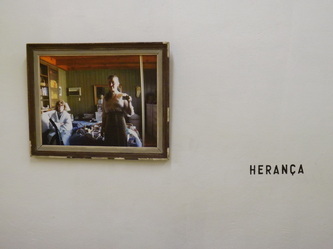 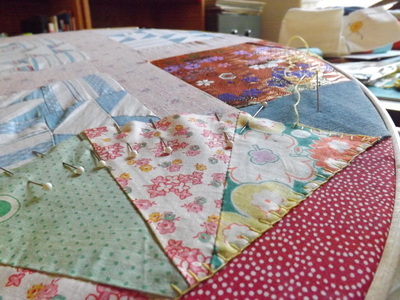 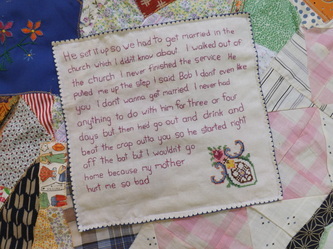 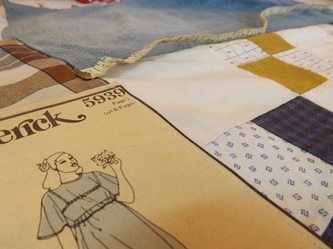 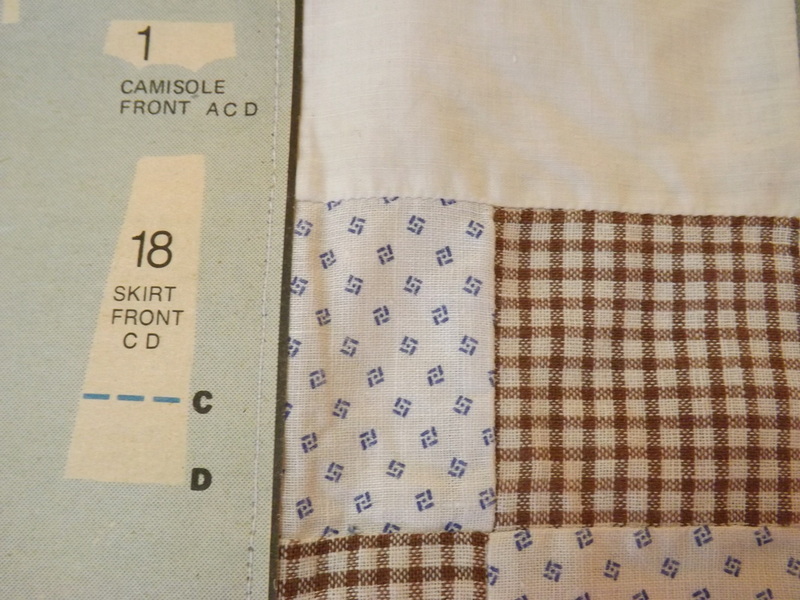 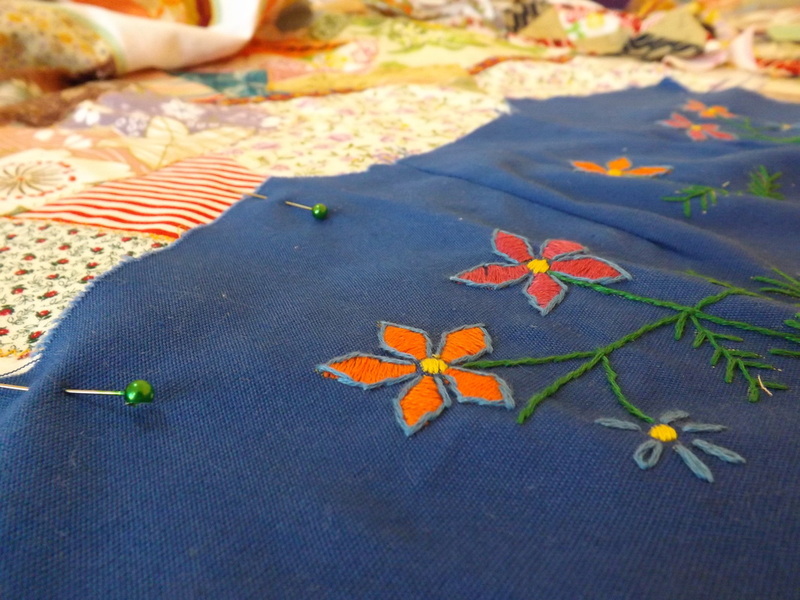 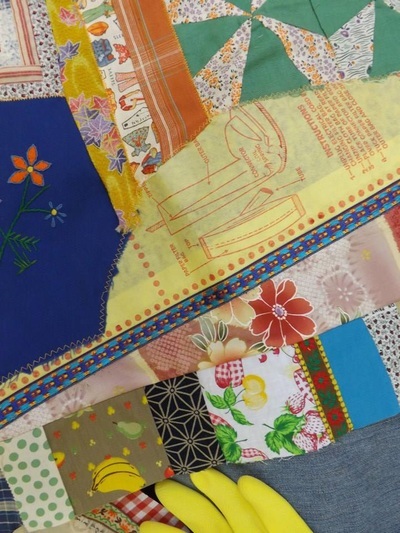 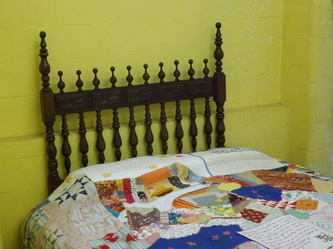 Blending oral history, scientific findings, public record, memoir, photographs, song and ephemera, the project centers upon the making of an heirloom Crazy Quilt (a form of scrap quilting) as a meditation on the effects of intergenerational trauma and the myriad ways violence passes from one body to another. 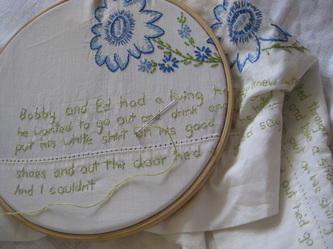 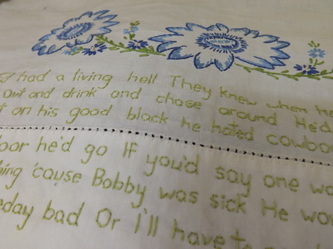 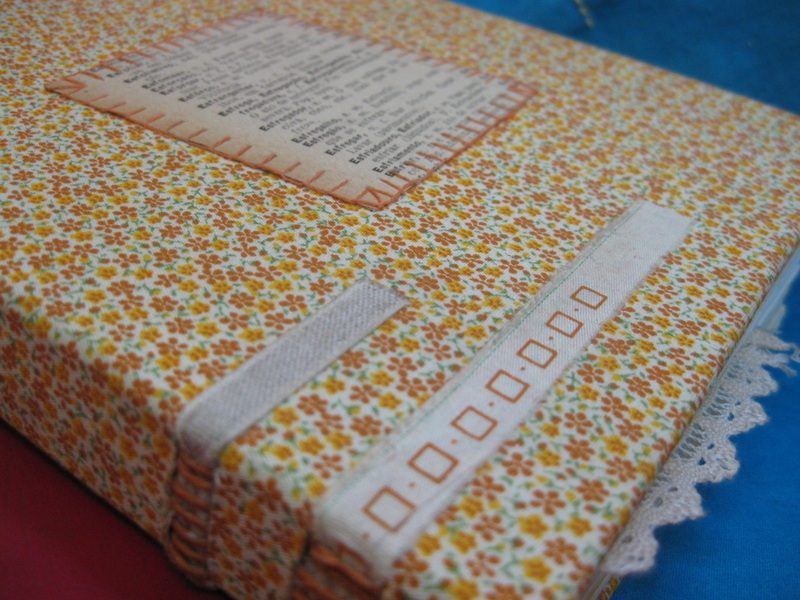 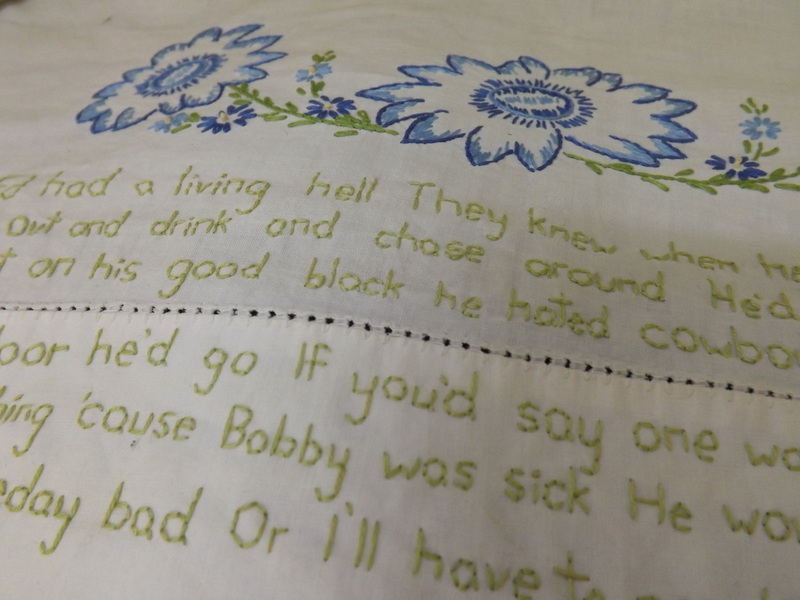 First-hand accounts of domestic abuse, war, rural poverty, migration, alcoholism and severe disability in four generations of one mountain-dwelling California Okie family are embroidered onto fabrics and into fractured narratives (a textual approach to scrap quilting). 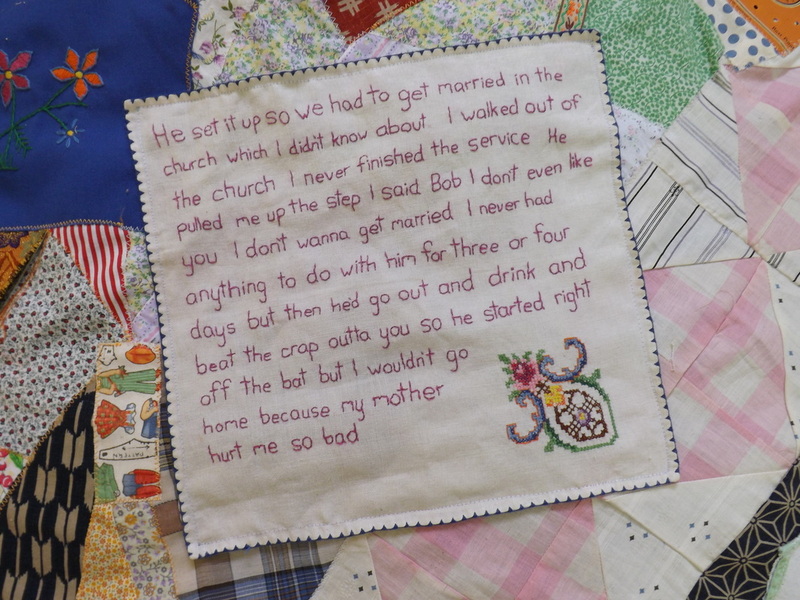 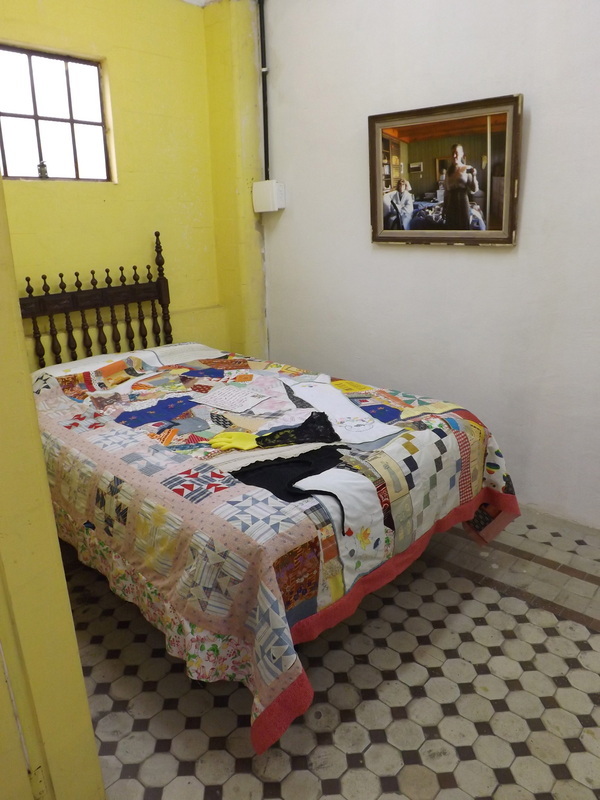 The quilt itself, pieced together from conventional and unconventional textiles such as work shirts and cleaning gloves, as well as the documentation of its making, are an inquiry into how trauma is and is not assuaged by the repetitive rituals of domestic work and handicraft.